AirplaneGeeks 382 The Women of the Boeing Company - Airplane Geeks Podcast - The weekly audio podcast that explores and expands your passion for aviation. We talk with the author of Trailblazers: The Women of the Boeing Company. Also, inductees into the 2016 International Pioneer Hall of Fame, Chinese airline orders, Aviation Week’s Person of the Year, commercial flights to Cuba, Kuwait Airways drops a route, Amazon.com may start it’s own airfreight operation, and online search for empty GA seats gets some bad news. 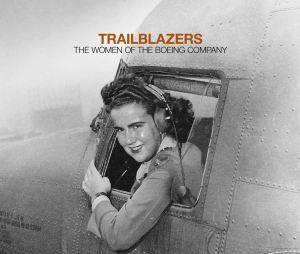 Trailblazers describes with words and photographs many of the women who have made their mark throughout the long history of the Boeing Company. Betsy was a marketing writer at Boeing for 18 years and is the author of several Boeing Store books, including In Plane View: A Pictorial Tour of Everett Factory about the Everett factory, and The Jumbo Jet: Changing the World of Flight. She also authored Houseboat: Reflections of North America’s Floating Homes, she owned an advertising agency in Seattle, and she worked as a radio copywriter for several years. Betsy was also a whitewater river guide. Find Betsy’s books on Amazon.com or at the Boeing Store. Women in Aviation International has announced the inductees into its 2016 International Pioneer Hall of Fame: the Air Force Undergraduate Pilot Training Program Class 77-08, Brenda E. Robinson, and Gen. Janet C. Wolfenbarger. The ceremony will take place at the closing banquet of the 27th annual International Women in Aviation Conference, which will be held March 10-12, 2016, at the Gaylord Opryland Resort & Convention Center in Nashville, Tennessee. China Southern Airlines said it will buy thirty 737 Next Generation and fifty 737 MAX narrow body planes. Xiamen Airlines (a unit of China Southern) is buying thirty 737 MAX jets. The State department says that after talks with Cuban officials in Washington, U.S. airlines can negotiate with the Cuban government for 20 routes a day to Havana, and 10 to each of nine other Cuba airports, for a total of 110 round-trip flights. This won’t happen immediately as Cuba needs to address airport, tourist, and even telecommunications capacity. Kuwait Airways dropped its route from JFK International Airport to London Heathrow. In 2013, Israeli citizen Eldad Gatt complained to the U.S. Department of Transportation that he could not fly on the airline because he did not have the option in the online booking system to select Israel as the country issuing his passport. Kuwait Airlines says that Kuwait law prohibits business with Israelis and so they cannot recognize Israeli passports. Cargo Facts says Amazon has a market cap of $316 billion, an annual growth rate of 18%, and net sales of $100.6 billion in the previous 12 months. In 2014, startup company Flytenow created a platform where people looking for a flight could look online for private pilots who were offering a seat. 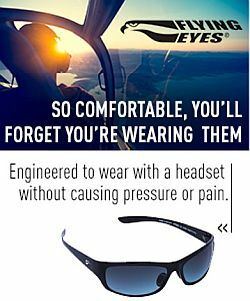 In court, the FAA argued that this scheme violates the Federal Aviation Act of 1958 and other FAA regulations because pilots who are compensated for their services must hold a commercial license. Flytenow argues that the pilots are not operating as a common carrier because they are not operating for profit – only sharing expenses – and expense sharing is common in the aviation community. The only thing Flytenow is doing is bringing the process online. The United Airlines program called United Paws is offering “comfort dogs” to travelers at seven airport hubs. A Shaky Thing: a Christmas Story! Once again it’s Qantas all the way but this time our friend Richard Muirden was on board the first Qantas flight to San Francisco since 2011. CASA goes for awareness rather than registration for drones. To wrap things up, we have sad news: It’s taken some thinking and some angst but Steve and Grant have decided it’s time to pull back from the Australia Desk and take a break. While the regular weekly (or at least, mostly weekly) episodes are going on hold, they’ll no doubt be back here and there if super important news from down under needs to be mentioned. For now it’s so long and thanks for all the laughs as the boys sign out and take a well earned break. It’s Summer, it’s Christmas so it’s time to fire up the barbie and go hang out at the beach. Thanks to everyone for all the fun and who knows, we may be back before you know it. 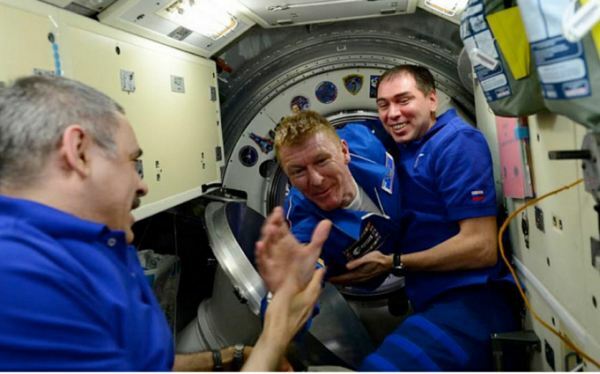 Pieter talks to Amjad Zaidi about the amazing response in the UK to Major Tim Peake’s launch to the International Space Station last week. Follow @AmjadPZaidi on Twitter. Warbirds Downunder 2015 DVD Promo – Ninety-three warbird, antique, and military aircraft attended Warbirds Downunder. Find copies at the Temora Aviation Museum. Looptworks Carry-On Collection – A collection of bags, laptop sleeves and other small leather goods made entirely with upcycled seat leather from Alaska Airlines planes. This entry was posted in Episodes and tagged Amazon, Boeing, Book, Cuba, Kuwait, women in aviation on December 23, 2015 by maxflight.